Will Robin Van Persie Return to England as a Manager? 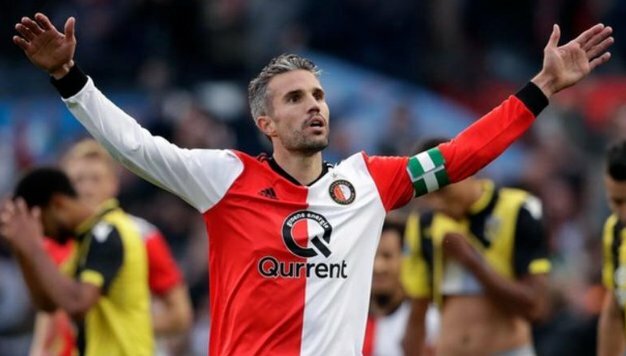 Despite enjoying some fine form in the Eredivisie with Feyenoord this season, there is no disputing that Robin Van Persie’s footballing career is winding down. The 35-year-old has made a name for himself as one of the greatest strikers in football, but can he continue his legacy after he hangs up his boots? The Holland legend spent over ten years playing in England, and there is a chance he may want to return there as a manager. Football fans in England will have fond memories of Van Persie, who was one of the most prolific strikers to have played in the top flight. During his time with Arsenal the Dutchman bagged 96 league goals in 194 appearances, and then went on to score another 48 in 86 showings for Manchester United. It is arguable whether there has been a more accomplished finisher in English football since the 35-year-old’s departure to Fenerbahce in 2015. The question is, will the Netherlands’ all-time top goalscorer enjoy as much success after he finishes playing? There are numerous former stars from Van Persie’s Premier League days now managing sides in the various divisions of English football. And if Van Persie wants to one day manage in the top flight, he may have to learn the ropes in the lower leagues first. This is what former players including John Terry, Frank Lampard, and Darren Moore are doing. Each of them are in their first ever managerial posts this season, with mixed success. Terry is now the assistant manager at Aston Villa, while Lampard is in charge at Derby County. Both clubs are in the playoff mix but also have a number of glaring weaknesses. Former West Bromwich Albion defender Moore has made the smoothest transition into management as the main man at the Hawthorns. The 2017-18 relegation fodder are making a convincing case for going straight back up this term under Moore’s guidance. The Baggies are the highest scoring team in the Championship and betting tips sites are backing them to continue steamrolling the opposition. The best way for new managers to get a job in the Premier League is to get promoted, and Moore looks set to do so. There have been a number of exceptional Dutch managers over the years, meaning Van Persie would have a lot to live up to if he chose to follow in their footsteps. In his final season at United, the 2012-13 Premier League winner played under the management of Louis Van Gaal. Van Gaal is one of the most successful Dutch managers in the game, with two La Liga wins and a Champions League trophy under his belt among other achievements. Johan Cruyff is, without doubt, the best player to go on to management, where he also did extremely well. Cruyff influenced football with his unique philosophy, and won four La Liga medals and a Champions League with Barcelona in the process. Little is known about what Van Persie will choose to do after he retires from playing professionally. If he did decide to follow some Dutch legends and become a manager, a move back to England may well be on the cards.